Eat more plant-based protein for better health and weight management! Beans, beans, the magical fruit! What makes beans so magical? It’s not what you are thinking. Legumes are an important part of any diet. 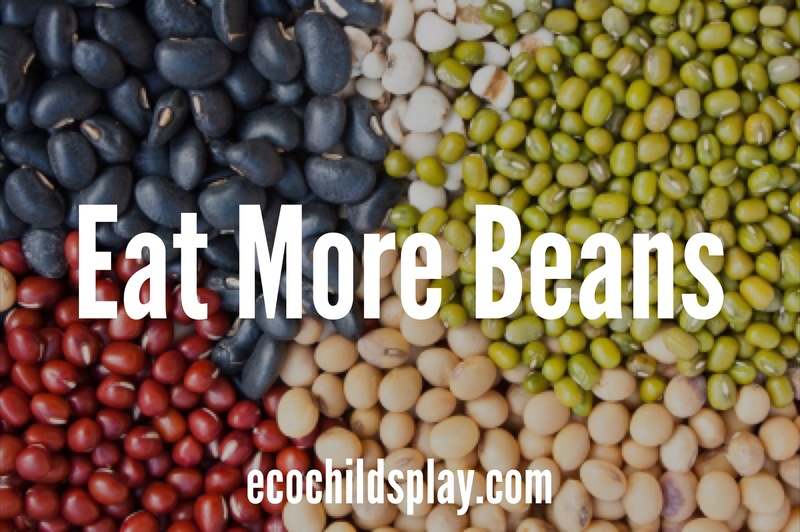 Whether vegetarian or omnivore, beans provide essential nutrition and are affordable. Protein and fiber, as well as many minerals and nutrients make beans perfect for healthy eating and weight management. Beans contain iron, magnesium, potassium, zinc, folate and vitamin B-6, all essential for human health. 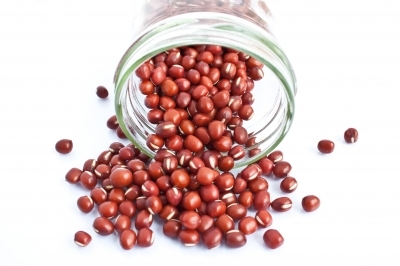 1)http://healthyeating.sfgate.com/types-beans-highest-amount-protein-6835.html They are also low in fat. When I started gardening over 20 years ago, I planted with the winter in mind. I grew many shelling beans, such as pinto and black beans. It was easy to do, and the beans lasted through the winter. I have since grown lazy and now buy my beans in a can. It is something I have eco-guilt about. It’s time to get back to buying dry beans and soaking them. Sprouted beans offer superior nutrition. When you sprout a bean, you are turning it into a living plant. 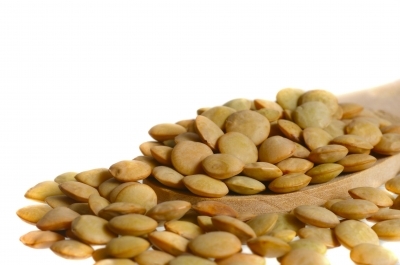 This aids in digestibility by neutralizing phytic acid.5)http://www.thenourishinggourmet.com/2009/01/why-sprout.html The process for sprouting beans is quite easy. Simply soak the beans in plenty of water for 8-12 hours. Drain, then rinse. Place the soaked beans in a mason jar with a mesh lid or sprouting lid or cheese cloth. Invert the jar and rinse at least twice daily. The beans will sprout in a couple of days. 6)http://www.vegetariantimes.com/blog/how-to-soak-and-sprout-nuts-seeds-grains-and-beans/ I love sprouted mung beans in my salad! This post was inspired by a book we were sent to review. 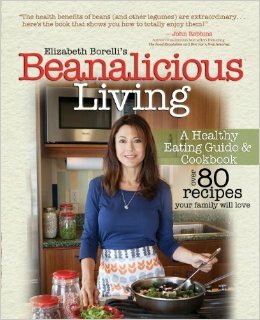 Beanalicious Living: A Step-By-Step Guide to Breaking Free from Processed Foods and Embracing a Healthy, Nutritious Lifestyle by Elizabeth Borelli is packed full of information about healthy eating, beans (of course), and recipes! While beans may be the red-headed stepchildren of the whole-foods diet, in reality they’re amazing for so many reasons. Rich in protein, high in fiber, and low in saturated fat, these wonder foods are loaded with an unusually plentiful array of minerals and nutrients necessary for optimal health. Typically readily available, they’re a cinch to prepare and when it comes to nutrients per calorie, beans are truly unbeatable. A big part of Beanalicious Living is the story of how I unraveled my way from a processed- food stupor to discovering my inner kitchen ninja, with beans playing a starring role. But this adventure-turned-eating-guide is more than just beans. You’ll find lots of user-friendly strategies for replacing our overly processed, fast-food diet with a healthy, delicious whole-foods version that’s just as easy to follow and no more expensive. In other words, it’s doable. · According to the U.S. Centers for Disease Control, more than one-third of U.S. adults (36%) and 17% of children (that’s 12.5 million!) are obese. · 52% of kids’ cereals contain more sugar per cup than three chocolate chip cookies. · Obesity levels have climbed dramatically over the last 20 years, and are directly related to some of the most common health problems, including diabetes, cancer, and heart disease. · Conclusive studies link the consumption of refined, processed food with obesity and related disease in both children and adults. · U.S. Centers for Disease Control findings show that children and adults who eat fast food one or more times per week are at increased risk for obesity. · Studies have found that people with a diet high in processed meats (such as hot dogs and bologna) had a 67% greater risk of developing pancreatic cancer than those who ate few or no meat products. · Processed foods contribute to overeating and weight gain because you don’t feel full as quickly as with high-fiber whole foods. · The lack of fiber fails to slow sugar absorption into the bloodstream, so processed foods cause a spike, then a crash, in blood sugar levels–leaving you tired, hungry, and irritable–and, in the worst-case scenario, at risk for type 2 diabetes. · According to the World Health Organization, processed foods are to blame for the increase in obesity levels and chronic disease around the world. · To make up for the loss of nutrients during processing, synthetic vitamins and minerals are added to food to “enhance” nutritional content. The jury is still out on how often this really works. · The word “Healthy” or “Natural” on a food package or label means absolutely nothing. According to the food-processing industry, all calories are healthy, and if an item contains water, you can check off that natural-ingredient requirement. I highly recommend this book if you want to take charge of your eating habits, weight, and discover how beans can help. This book covers a wide range of topics from eating meat to food labels to factory farming in an easy to read format. There are so many benefits to eating plant-based proteins. One benefit Borelli mentions is the long shelf life of beans, even after cooking. This cuts down on food waste, an important issue for our growing world population. Beanalicious is full of wonderful recipes from basic to exotic. I’m ready for some Curried Sweet Potato and Lentil Soup! I could also go for some Sprouted Wheat Breakfast Cookies! And remember, beans aren’t just for dinner! Black bean brownies are to die for!